My name's Jay Bo, and I'm a modder. My first creation was the Tobh Atty. What I like the most is creating awesome products for my vaping friends. I pride myself on quality design and manufacturing. Jay Bo Designs is proud to present our painstakingly designed, skillfully crafted product line. The Bambino Atty is here! 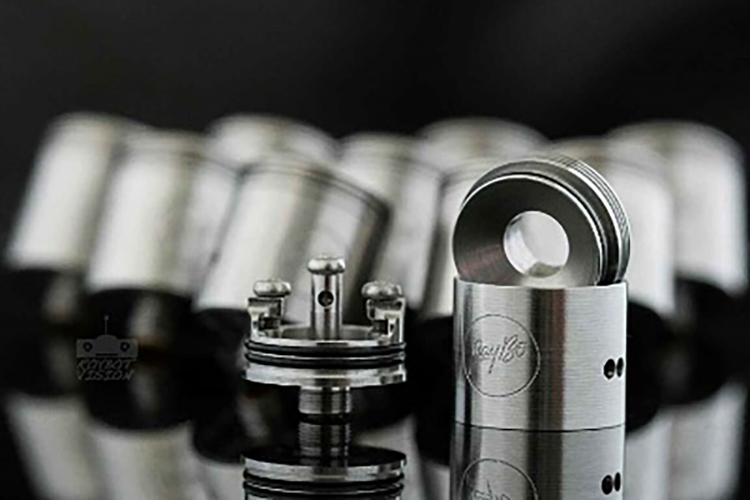 Meticulously designed and artfully crafted from the finest materials, the Bambino is the rebuildable atty you've got to have. Bambino's ultra-deep juice well will keep your wicks soaked with delicious juice for incredible lengths of time. Click the button below to get your Bambino! 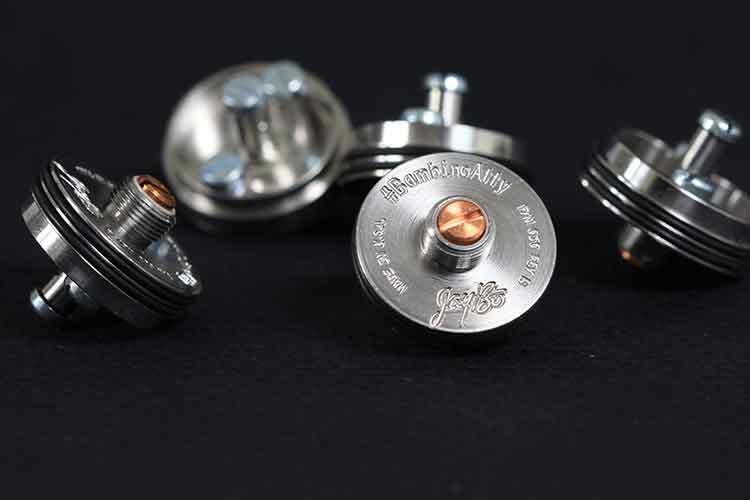 -Single coil option for those wanting a bit more variety and flavor. 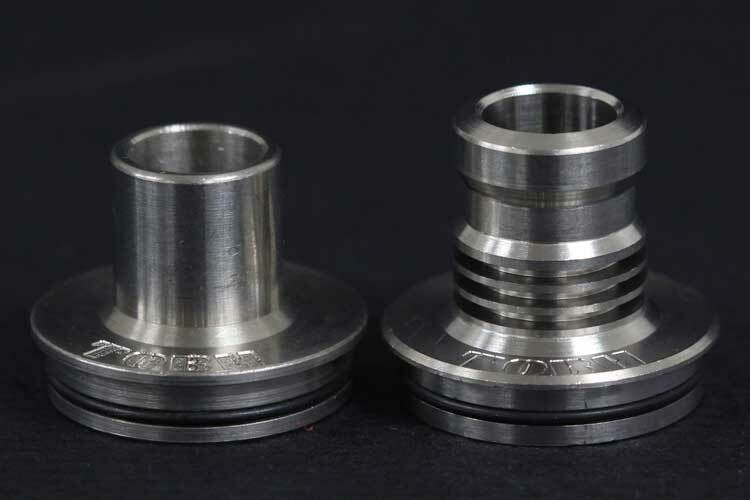 -Perfectly fixed airflow selection, the sleeve has two 3mm holes on each side that are perfect for even the lower ohm builds, (ex. 0.14ohm) allowing a consistent and even draw, not too airy! -303 medical grade stainless steel, 3 piece TOBH styled design. 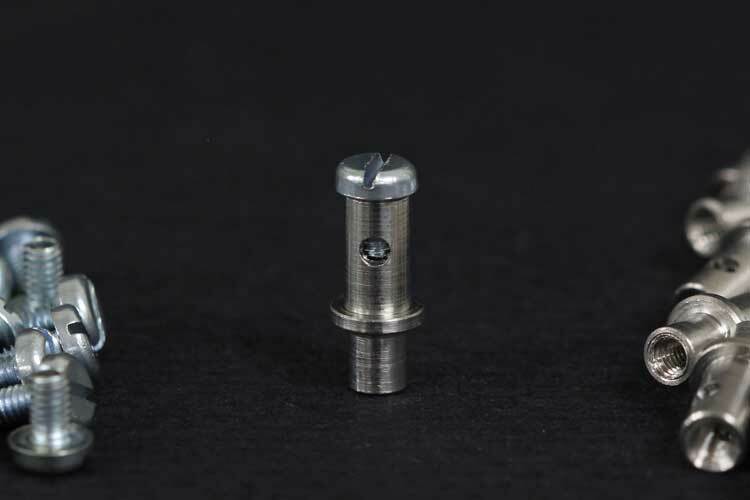 -Hand made SS screws M2.5×0.45mm pitch 4.5mm long specifically for the positive and negative positions. 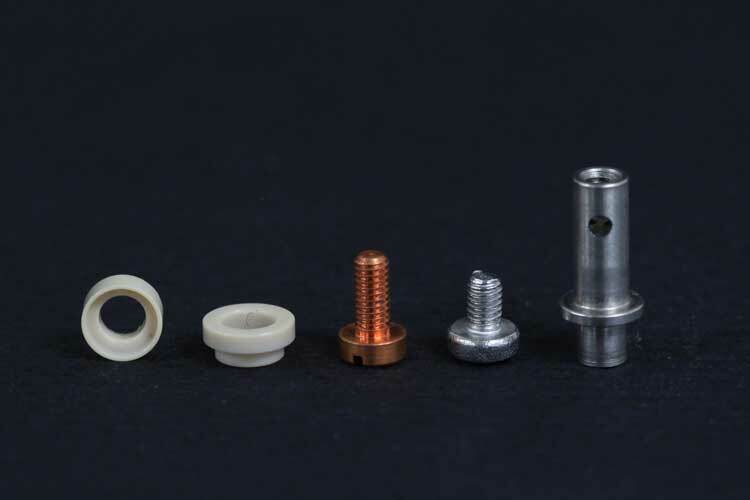 –Negative screws have a flat bottom to fully grasp your wires. –Positive screw has a tapered bottom to seat fully on the internal post shelf, ideal for capturing your wires. 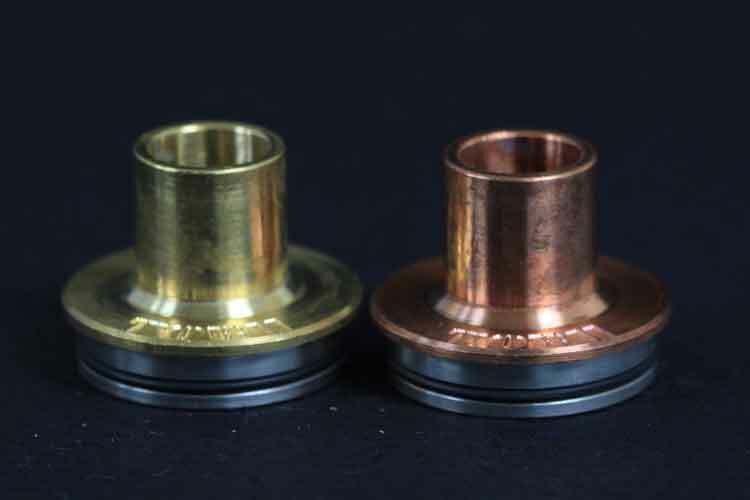 -The Deck features indexed PEEK insulators that do not allow the center post to spin. 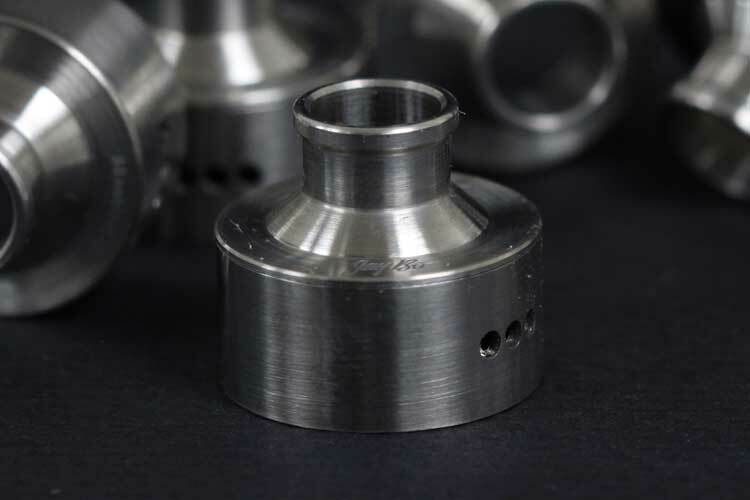 They are rated for an operating temperature of 480°F and a melting temperature of 680°F so the lowest Ohm builds are no threat to the Attys longevity. 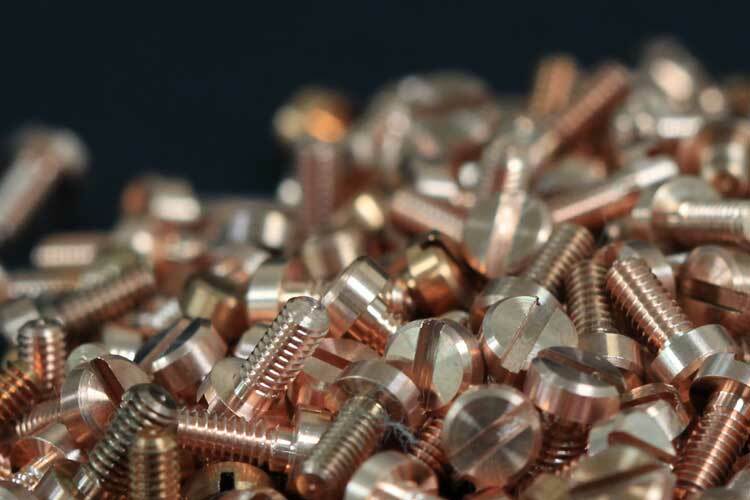 -Pure Copper C101 contact screw. NOT ADJUSTABLE! but can be easily removed for deep cleaning. 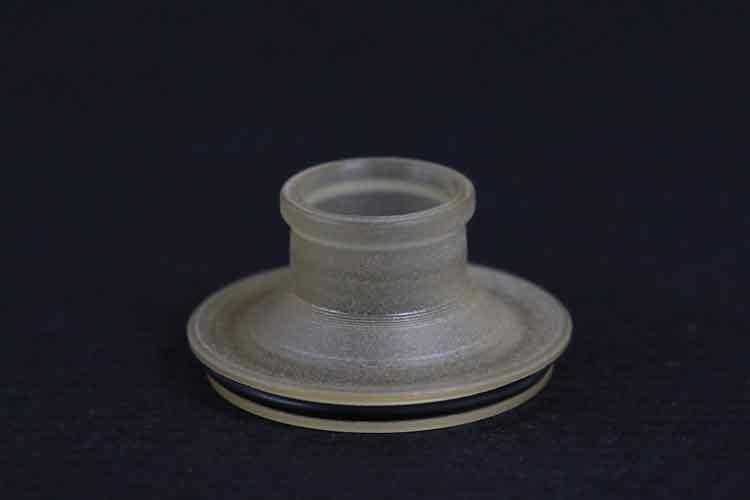 -Easily removable top cap design, there is a small recessed section of the top cap that allows you to pop open the top cap. 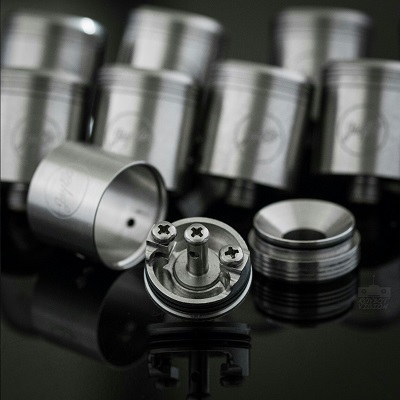 This function is handy when wanting to check on the juice level of your coils but do not want to fully remove the top cap. -Slotted negative terminals act as air flow blockers (depending on your selection) as well as a wonderfully large area for even the most complex of builds. Click the button below to get your Indestructible! Ultra-sleek for that modern appearance. Upgrade today! Get this little guy and be the envy of paisanos from Venice to Sicily! Slammed for your pleasure, get your hands on one of these bad boys today. A true gentleman's sleeve. 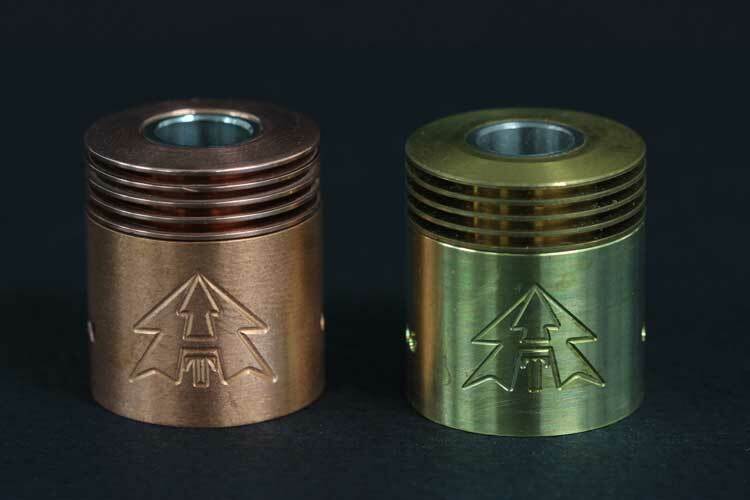 Available in brass, copper, and stainless. I know you've been waiting. Go get it. Available in copper, stainless, or brass. 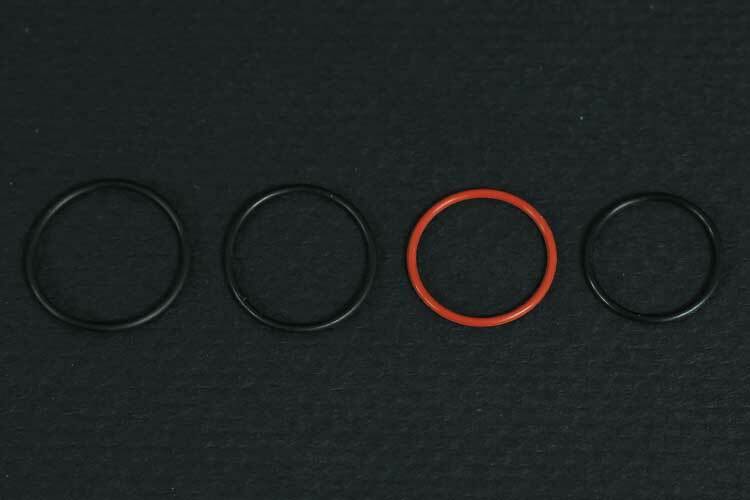 Do you need O-rings? We've got o-rings. Sometimes, a replacement post is just what the doctor ordered. If you need one, here they are. 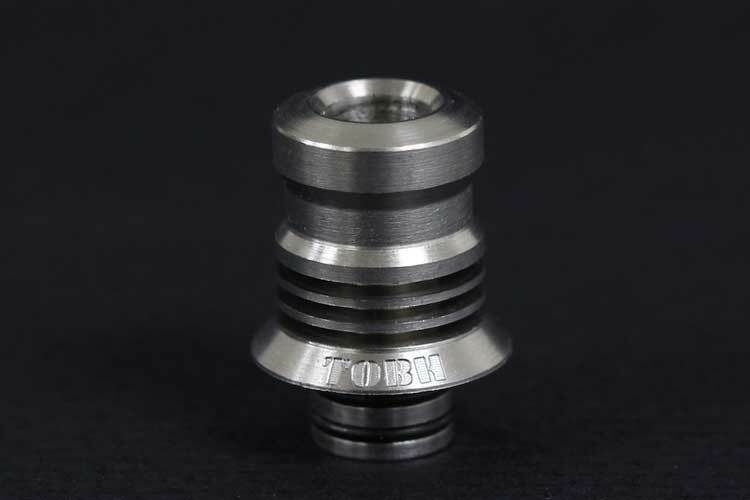 Restore your Tobh atty to factory condition with this fix-it kit. Copyright © 2015 by Tobh Inc. dba Jay Bo Designs.